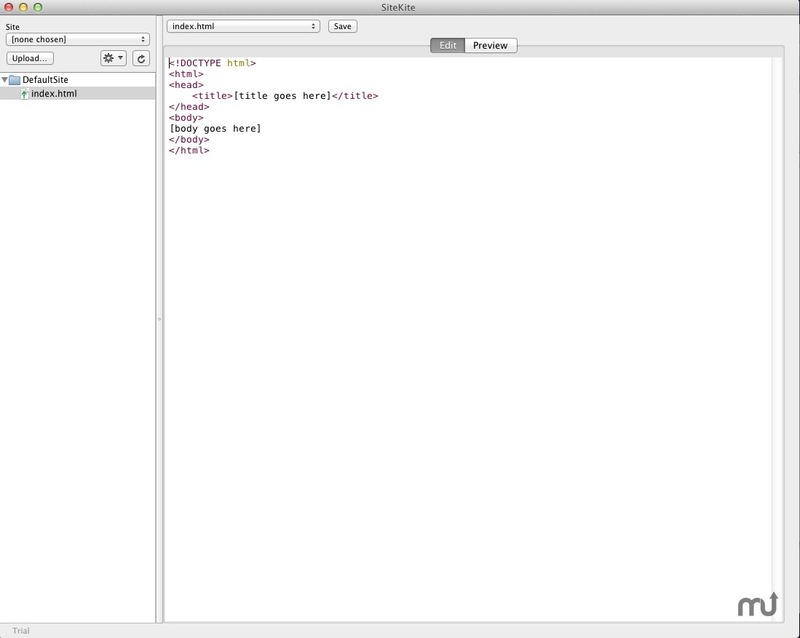 Simple HTML editor and FTP uploader. Is there a better alternative to SiteKite? Is SiteKite really the best app in HTML category? Will SiteKite work good on macOS 10.13.4? SiteKite is a simple HTML editor and FTP uploader that can be used to build and maintain a website. It's ideal for those new to website building who want a tool that's easy to learn, yet powerful enough to do the whole job. An outline view of local files for the site. FTP upload of just the changed files. Find and replace, spell checking, and other standard editing features. Automatic saving. No need to ever click the Save button. Presets for multiple FTP sites. Auto indent implemented, and settable via "Auto Indent" menu item. Preserved across launches. "Check Spelling While Typing" menu item now preserved across launches. Improvements to upload progress dialog. SiteKite needs a review. Be the first to review this app and get the discussion started! SiteKite needs a rating. Be the first to rate this app and get the discussion started! Optional preview using the local Web server, so PHP and other server-side languages can be previewed. SiteKite is somewhat inspired by the outline+editor approach widely used in editors like BBEdit and XCode, combined with built-in FTP and Web preview, like BBEdit, FrontPage, and many other other website builders. New "Open Site in Finder" on action menu to open FTP site in Finder. New "Open Site in Cyberduck" on action menu if Cyberduck is installed in /Applications. Bug fixed that caused site properties (but not the site itself) to be removed if Site Properties dialog was cancelled.